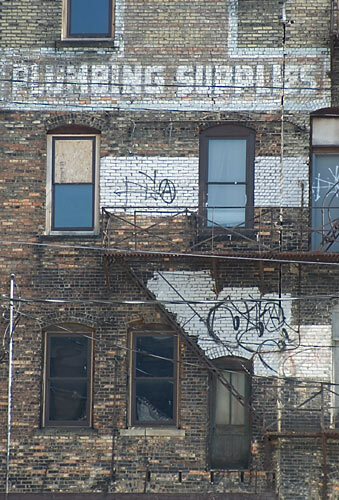 The side of a building on Sheldon St. in downtown Grand Rapids. 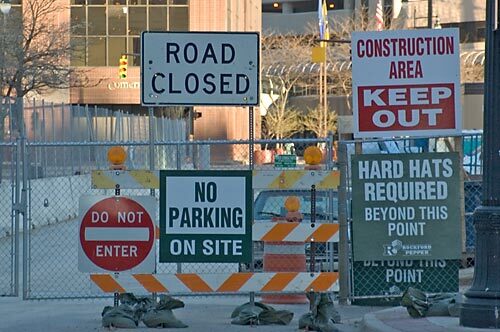 I get the feeling that they want me to keep out. 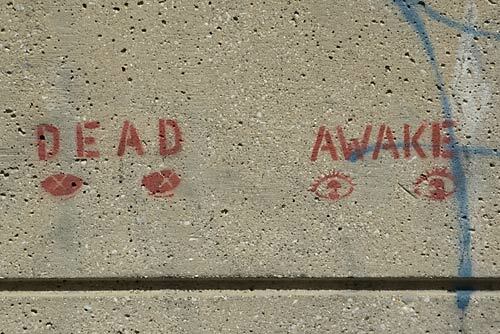 The day after I took this shot, some do-gooder came by and put a fresh coat of paint on the wall. 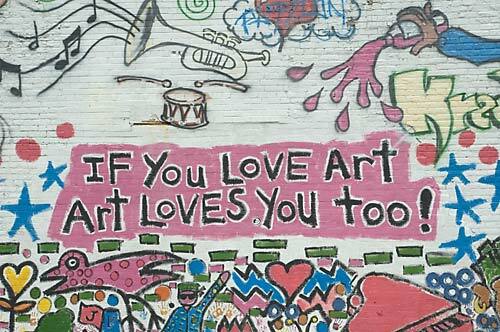 Part of the same wall that has “If you love art, art loves you too” painted on it. 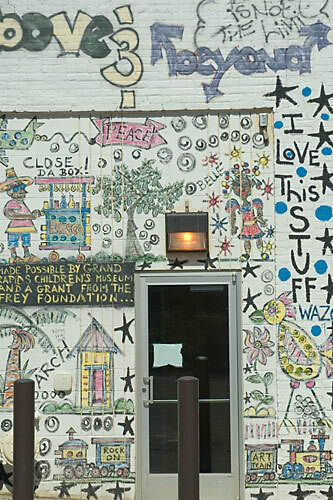 The front of this building faces South Division, in Grand Rapids, Michigan. I don’t think they have to worry anymore about people soliciting in the building. 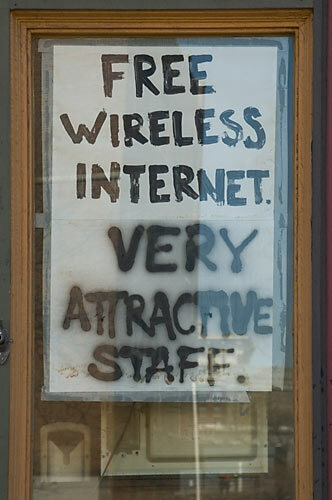 This elegant sign is taped on the window of Morningstar Coffee House in Grand Rapids. Okay, okay, I admit it. I Photoshopped this one a little bit. 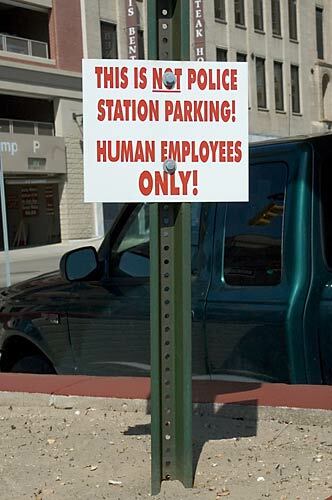 The sign really said “Hinman,” not “Human,” but I couldn’t pass up the opportunity for a dumb joke. 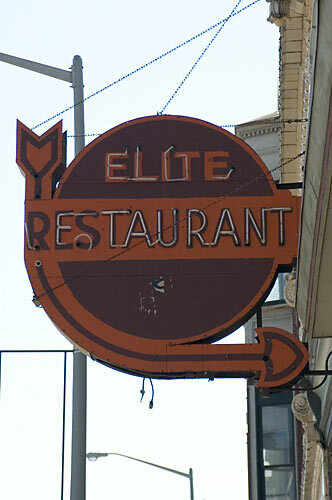 I like the retro look of this sign, but the name of the restaurant isn’t going to fool me into eating there. 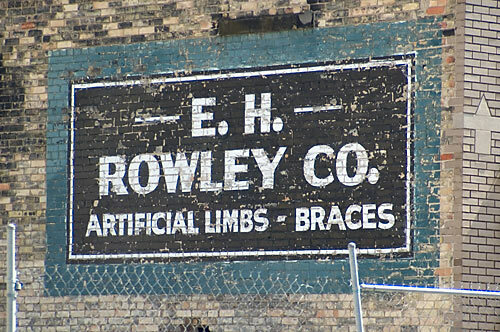 If you’re looking for an artificial limb, don’t try to go to E. H. Rowley Co. 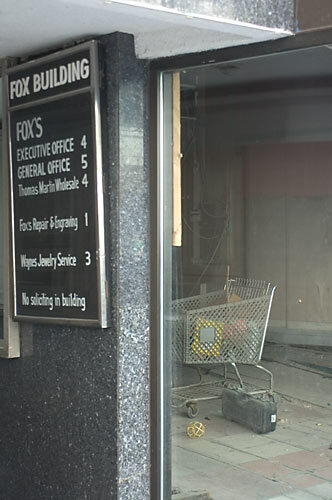 It looks like they’ve been closed for some time now. Then again, they might have just moved. Maybe it’s best to consult your local Yellow Pages.